Easy pleasy single level ! Where to start? It's a suntrap, it's single level, easy care and a much bigger home than expected. As you arrive at the property you will instantly be wowed by the exceptional outdoor living spaces that are on offer here. 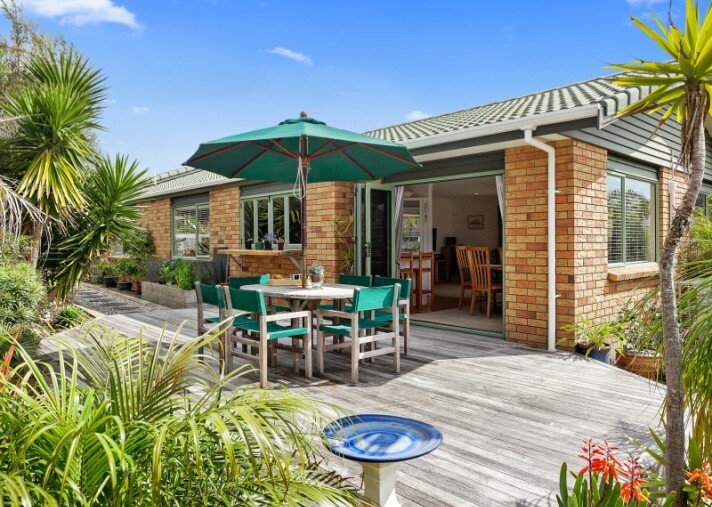 A super sunny deck surrounded by tropical landscape where you will enjoy breakfast whilst reading the paper and then there is the covered party zone on the western side, ideal for year-round entertaining. This area is absolutely fantastic. A place where lasting memories have been created...some may have been lost!!! The home boasts 4 bedrooms, master with ensuite, walk-in wardrobe plus another wardrobe that will fit all your shoes and handbags...I trust you ladies know what I am talking about. Both bathrooms are stunning, and the separate laundry room is another added bonus. The internal access garage is massive, and you will be pleased to know that there is off street parking for boat or caravan at the rear end of the property. Additional features include solar power feeding into the grid for some power saving, rainwater tank with electric pump so you can freely keep on watering your raised veggie garden even if we have restrictions, outdoor shower, fish cleaning bench, folding ladder in the garage and the list goes on. By the way, the current owners have done some casual holiday letting from their massive master bedroom and when you see the setup, it really works. It has generated a small income; mainly it was about meeting interesting folk from around the globe. 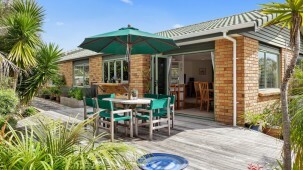 Single level homes like this one at Ohope are seriously hard to come by and you simply have to have a look at it. Expect the unexpected. Call me today for a viewing...this may be your last one, as I am sure you will want to call this your home.